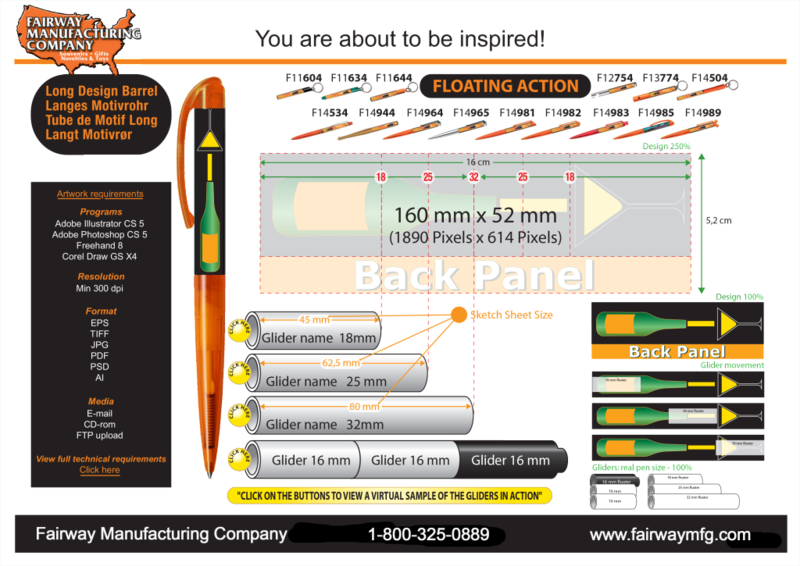 With the Conceal & Reveal pens from Fairway Manufacturing, you can create unique pens with eye-catching effects that no other promotional pen offers. 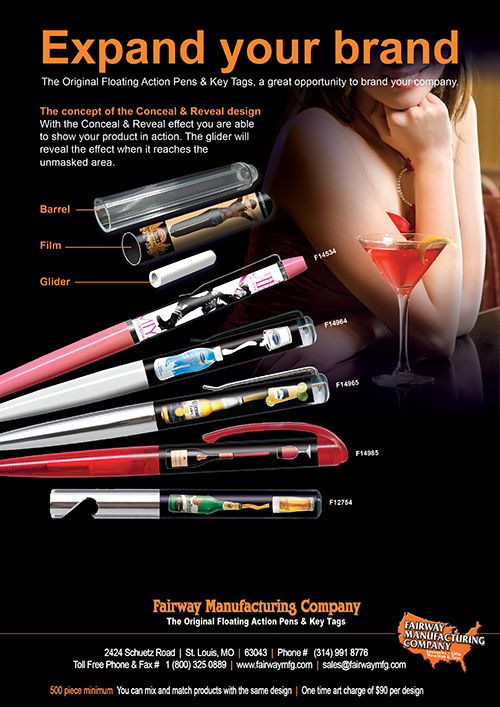 You could fill up a glass with soda, beer or liquor, you can transform objects or you can dress and undress a person. The possibilities are endless. 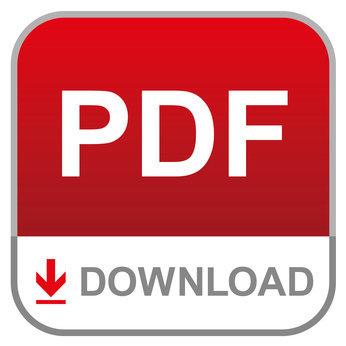 Download our conceal and reveal PDF flyer. 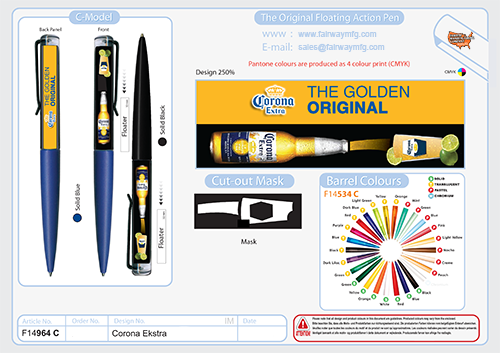 GET OUR SKETCH SHEET FOR CONCEAL & REVEAL PENS, BOTTLE OPENERS, & KEY RINGS.